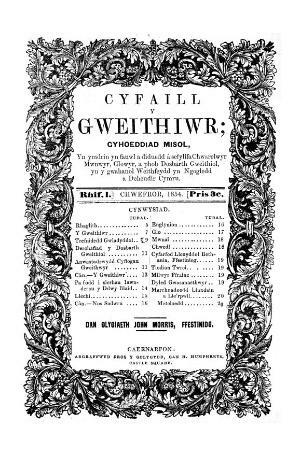 A monthly Welsh language periodical aimed at Welsh workers, which circulated mainly in north Wales. The periodical's main contents were articles on the relationship between labour and their masters, on work, and on the situation of the working classes, alongside poetry. John Morris, Ffestiniog, who took the perspective of 'moderate labour', edited the periodical.